BenQ, today announced a new line of CDR LightScribe and DVDR media. The maximum-speed 52x CDR LightScribe media supports the LightScribe direct-disc-labeling technology that burns text and graphics on the surface of the CD, offers a data capacity of 700MB / 80 minutes, and comes in quantities of 25.The DVDR media comes in three variations: DVD+R versions of both the designer and BenQ-branded discs. BenQ's 16x-speed DVDR Designer Collection features stylish designs on the discs, including images of movie film and director clip designs, and provides 4.7GB data capacity. The Designer Collection packs come in quantities of 25.The high-performance 16x-speed BenQ-branded media offers 4.7GB data capacity and comes in packs of 25. You can read all the news about CES over here. BenQ, today announced the general availability of the CP120 micro-portable digital projector, the world's smallest and lightest projector with a built-in wireless capability. Ideal for small businesses and mobile professionals, the CP120 weighs only 2.9 pounds and offers flexible wireless connectivity with compatibility for the three most common variations of the IEEE802.11 wireless standard (i.e., 802.11a/b/g). The CP120 provides a solid feature set that includes XGA native resolution, an ANSI brightness rating of 1500 lumens and a 2000:1 contrast ratio. In addition, the CP120 features BenQ's proprietary Golden Ratio Color Wheel that provides high-grade color reproduction. Using the Golden Ratio Color Wheel, the CP120 produces more natural flesh tones by delivering better color saturation on red and blue than standard RGB without sacrificing green. This feature brings a rich true color picture to all video formats, especially DVD, high definition television or sporting event. BenQ, today unveiled three new additions to its digital camera lineup, the X600, C800 and E521. 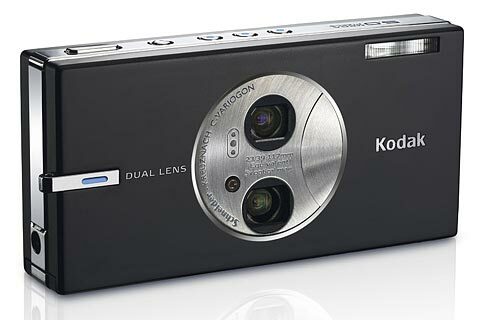 The highlight of the three models is the X600, the world's smallest 6-megapixel camera. All three digital cameras offer an ultra-slim, compact design and versatile feature set, and are ideal for consumers seeking a high-quality multi-function digital camera at an affordable price. 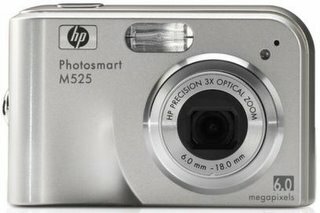 Equipped with Pentax's Super-Multi Coating (SMC) lens and a 3X optical zoom, the X600 delivers true-to-life, crisp photos with pristine clarity and superb contrast. A 2.5-inch high resolution LTPS LCD screen and VGA movie recording at 30fps with AVI (MPEG-4) format ensures comfortable viewing and super smooth movie clips. In addition, the X600 offers a smart photo-editing function that includes trimming, resizing, rotation, color filter, movie editing, all of which can be done via a touch of a few bottoms on the camera itself. 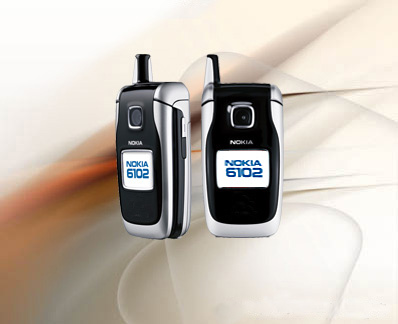 The compact design and ultra-thin thickness of 1.9 cm make the X600 an ideal accessory for on-the-go consumers. The E521 features a 5-megapixel CCD (charge-coupled device), 3X optical zoom, MPEG-4 movie format and 2.0-inch OLED advanced display screen for very sharp rendering of photos. Targeting technology “first adopters” who demand the most advanced solutions, the camera features Pentax's Super-Multi Coating (SMC) lens, a 3X optical zoom and fluid VGA movie recording at 30fps with AVI (MPEG-4) format. The compact C800 features an 8-megapixel CCD (charge-coupled device), 3X optical zoom, MPEG-4 movie format and a large 2.4-inch TFT LCD screen for clear and comfortable photo viewing. The camera comes equipped with a Printer Mode for direct printing via a compatible printer and Burst Mode that enables four (4) shots to be taken per snap. 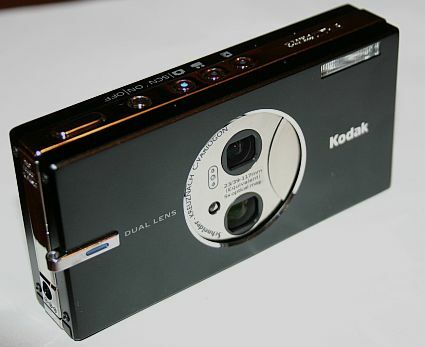 The camera can be used as a Dictaphone and is bundled with 26MB of built-in memory. You can read all the articles about CES here. BenQ, today launched the FP72V+, a new, ultra-fast version of its “family friendly” 17-inch LCD monitor that is specifically designed for everyday family activities such as music, videos, learning, instant messaging and communicating with friends. In addition to its speedy 8ms response time, the FP72V+ provides several features that address the needs of the whole family, including eyesight protection, detachable Web camera for flexible placement, adjustable height settings, wide viewing angles and a swivel base for sharing content. 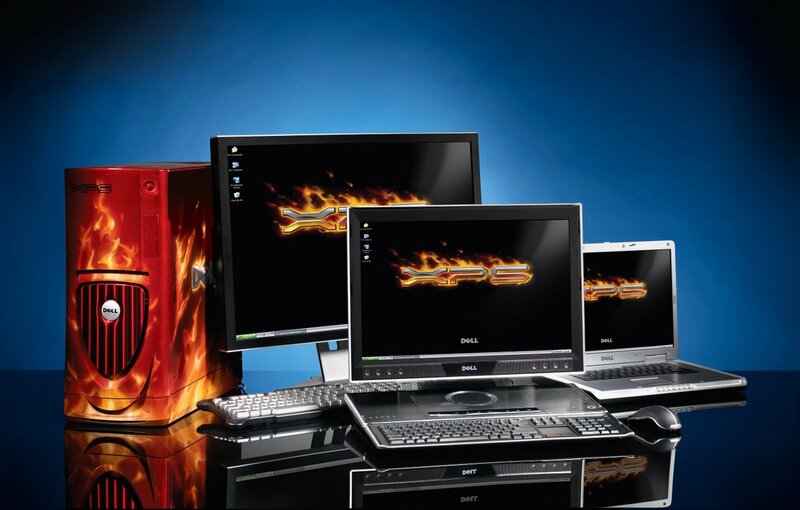 At his Industry Insiders keynote at the 2006 International Consumer Electronics Show, the chairman of Dell Inc. introduced three new products that deliver previously unavailable features to enhance customers' experience in high-end gaming and mobile productivity. They include new XPSTM desktop and InspironTM notebook systems and a 30-inch LCD monitor, each offering extreme performance for entertainment, gaming and multimedia. The XPS system is expected to be the first to support two new NVIDIA GeForce 7800 SLI graphics cards, which can link four graphics processors to speed up overall video performance or draw images with intense realism. 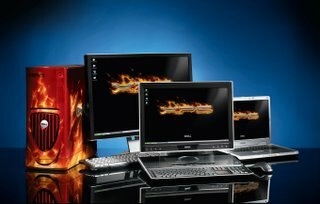 The system also features Dell's first overclocked and factory-set 4.26 GHz Intel Extreme Edition dual-core processor. Overclocking is designed to increase the processor speed beyond mainstream usage to deliver over-the-top performance critical to extreme gamers. Dell's implementation of the processor is supported by the expertise of specially trained XPS technicians. Dell expects to provide pricing and ship the limited-edition XPS 600 Renegade in the U.S. in the spring of 2006. The Inspiron E1705 notebook offers innovative features for multimedia on the go. With the computer's Intel CoreTM Duo processors, mobile users can watch movies on the 17-inch display with optional TrueLife technology, and simultaneously run an antivirus program without compromising performance. A Dell TrueLifeTM display provides a vivid viewing experience for DVDs and photos with its bright, high-contrast screen. The Inspiron E1705 also includes the high-end NVIDIA 256 MB GeForce Go 7800 graphics card for realistic gaming and multimedia. With the computer off, one press of the Dell MediaDirectTM button will allow users to play videos, music or photo slideshows stored on the hard drive, optical drive, a USB key or from the integrated 5-in-1 media card. The Dell Widescreen UltraSharp 3007WFP flat-panel LCD monitor provides 30 inches of viewable image, advanced functions and a stylish design for gamers, workstation users and professionals. The 3007WFP also offers comfort and convenience features such as a height-adjustable stand with tilt and swivel capabilities and an integrated 9-in-2 media card reader and four USB 2.0 ports for connecting devices such as digital cameras and printers. You can find all the news about CES here. 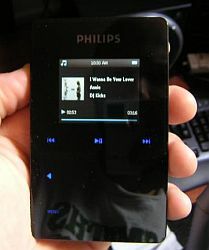 Philips announced today at the Consumer Electronics Show (CES) a few new products. 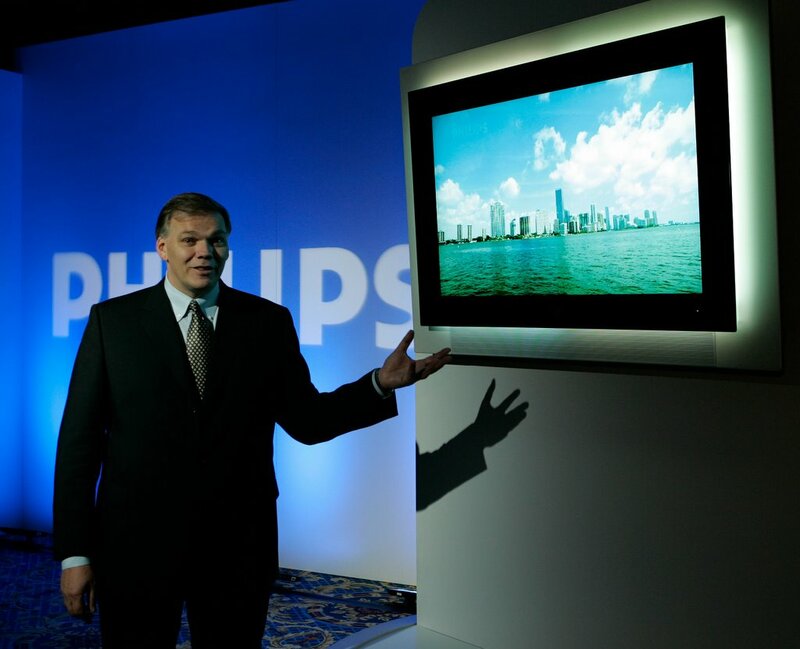 Key innovation highlights from Philips include advanced television technology with a new generation of Ambilight FlatTV displays, groundbreaking High Definition recording devices, mobile infotainment products and Internet protocol enabled phones. In addition, Philips announced a number of relation ships that include Skype, Microsoft, Yahoo, vTuner and other market leaders, which will redefine how consumers access and enjoy digital content from Philips. 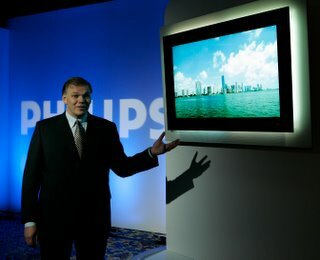 Introduced for the first time at CES 2006, Philips showcased the new Full Surround (four-sided) Ambilight FlatTV display. Providing lighting around all four sides of the screen, Ambilight Full Surround creates a floating design, enhancing the coloring for greater visual impact and immersing viewers in the entertainment experience. Ambilight Full Surround not only provides an improved viewing experience, but complements the décor of any room. In addition to the Ambilight Full Surround model, Philips also showcased the new Surround (three-sided) Ambilight FlatTV model, which emits lighting along the left, right and top. Ambilight Surround draws viewers into a relaxed experience and is ideal for movie watching and large rooms where a wall can be dedicated to the TV. A founding member of the Blu-ray Disc Association, Philips introduced its all-in-one PC Writer (TripleWriter), consumer Blu-ray Disc Video player (BDP9000) and new Blu-ray media (BD-R and B-RE, single layer 25 GB and dual layer BD-R and BD-RE 50 GB*). The HDD1850 and HDD6330, let consumers have ultimate control over their digital content at home or on the move. The Philips’ GoGear HDD jukebox range supports Microsoft’s PlaysForSure initiative. Both of Philips’ GoGear HDD devices will be compatible with portable subscription offerings, allowing consumers full access to more than one million track catalogs from supporting online services. Busy consumers will appreciate the HDD1850 and HDD6330’s flexible features, intuitive control and compact design. The HDD1850 features 8 GB for up to 4,000 songs or 2,500 pictures; the HDD6330 features an impressive storage capacity of 30 GB to hold up to 15,000 songs or 8,400 pictures. Broadening its Connected Planet™ family of products, Philips introduced a new DECT™ phone enabled to supply consumers with Voice-over-Internet Protocol (VoIP) communications. The new phone has the ability to utilize existing landline telephone service, as well as make free Internet calls via Skype. Philips also announced a new collaboration with MSN for an exclusive deal that will revolutionize the way consumers communicate and take VoiP on the PC to a whole new level. Extending the relationship with Microsoft, Philips’ hard-disk, portable jukebox products give consumers a great way to discover and share new music using PlaysForSure technology. 3G has reviewed the Motorola RAZR V3x 3G Phone. 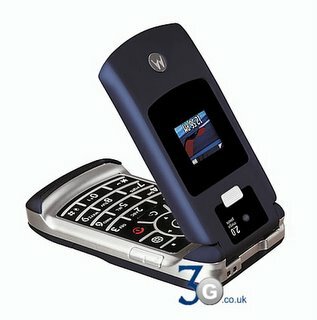 A RAZR revving to 3G speeds would surely be top of everyone’s wish list, they say. A fluent video streaming performance complements its superb feature set and stunning design. The RAZR’s wafer-thin profile may have been compromised a tad, but for a 3G phone it’s positively svelte. Read the full review at 3G. Jungle-Life has reviewed the Philips GoGear HDD6330. 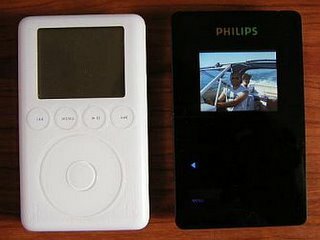 Firstly, let it be said that I'm a complete and total iPod hater. I was an early adopter of the first-generation iPod as I saw it as an innovation but since then the only innovation has come from Apple's marketing department. Each amazing new feature is touted 6 months after the last as if it were some miraculous evolution of technology. All I can say is this: Buy an iPod now and cry in 6 months when you're holding yesterday's must-have toy or, pick up something different and set yourself apart from the rest of the crowd. You can read the full review at Jungle-Life. 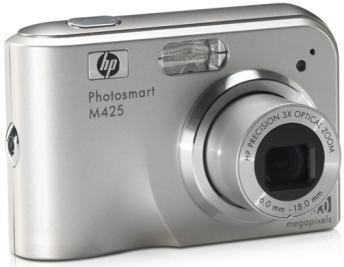 HP launched today at CES the Photosmart M425. 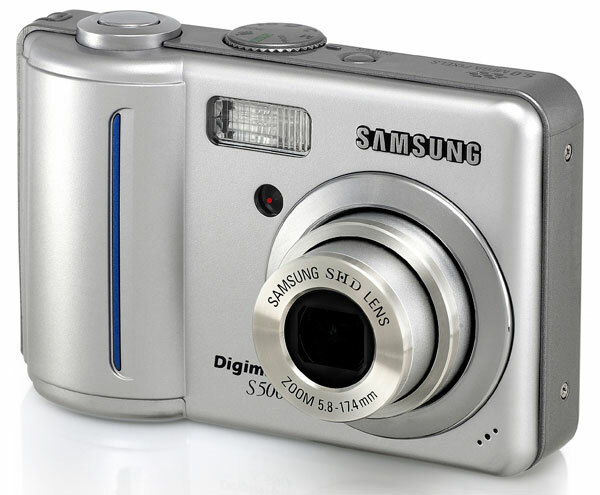 This is a 5 megapixel camera with 1.7-inch LCD display. 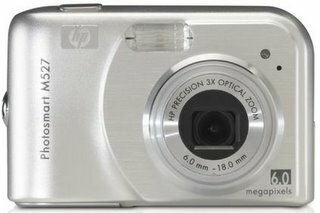 It features a 3x optical zoom and 6x digital zoom. The M425 will be available in April. 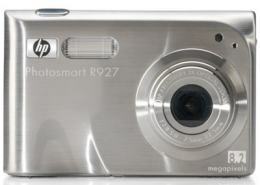 HP launched today at CES the Photosmart R727. This is a 6.2 megapixel camera with 2.5-inch LCD display. It features 3x optical zoom and 8x digital zoom. The R727 will be available in March of this year. 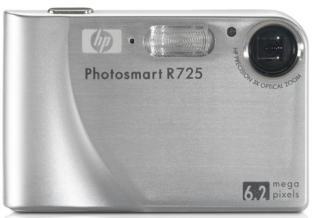 HP launched today at CES 2006 in Las Vegas the Photosmart R927 digital camera. 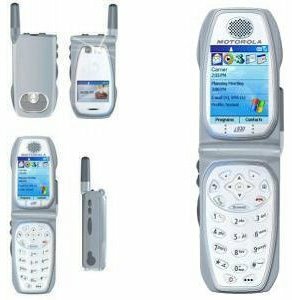 It's a 8.2 megapixel camera and a 3-inch LCD display. The camera features 3x optical zoom and 8x digital zoom, along with 17 shooting modes, macro multi-zone auto focus and burst mode for quality shots in a variety of conditions. 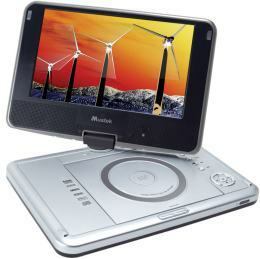 Mustek released the new MP 100 Portable DVD Player with a rotating 19:9 widescreen 10" LCD display. It also supports DivX format. DVDs, CDs, MPEG4, DVD-R/RWs burned videos, MP3 music, Kodak Picture CDs and MMC/SD memory cards. DVHardware reports about a new family of connected cordless phone systems that Motorola is going to launch at the Consumer Electronics Show (CES) in Las Vegas. It gives families one-button access to the many ways they can communicate in and around their homes. Through an innovative "Connect To" button on each handset, the new Motorola C51 and SBV5400 expandable cordless phone systems provides access to landline, Voice-over-IP calling, cellular service, home intercom, live streaming video, shared family phone books, high-speed Internet, and even push-to-talk-over-instant messaging -- right from the palm of your hand! The Motorola C51 and SBV5400 will be available in Spring 2006. 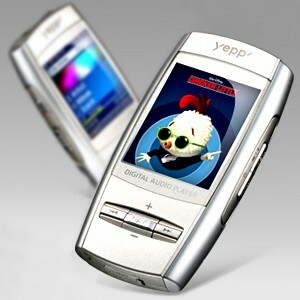 Samsung will release the new YP-T8N digital audio player series at the Consumer Electronics Show (CES) in Las Vegas. available in 4GB, 2GB and 1GB. Samsung will soon release the Digimax S500. This digital camera has 5MP with optical zoom and a 2.4-inch LCD display. 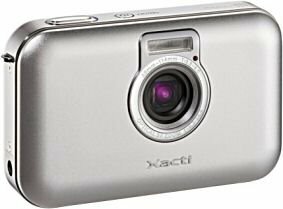 Steve's digicames has reviewed this digital camera from Sanyo, the Xacti E6. The 6-megapixel SANYO Xacti E6 digital camera features a full 3-inch color LCD screen – the largest in its class – which provides an approximately 230% larger viewing area than a 2-inch screen. Such a big screen is ideal for composing and framing the subject, checking the captured photo and sharing pictures with others. The bright, exceptionally viewable trans-reflective LCD screen incorporates a low-temperature polysilicon liquid crystal design known for its excellent color reproduction.